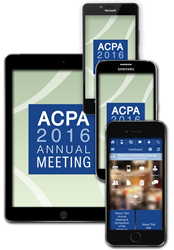 The 73rd Annual Meeting of the ACPA will be held April 4 through April 9 in Atlanta, GA. The event is chiefly focused on collaboration and networking, allowing for educational opportunities for both new and experienced cleft care providers. All of these sessions will combine with the other great scientific and educational offerings to form an exciting interdisciplinary program that will appeal to all attendees as we go ALL IN with Expertise, Discovery, Leadership, and Teamwork. The American Cleft Palate-Craniofacial Association’s 73rd Annual Meeting will be held April 4 through April 9, 2016. This year’s event will take place at the Hilton in Atlanta, GA and will feature a two-day Pre-Conference Symposium followed by four days of meetings, exhibits, panels, and discussions. Registration is required and tickets are required for entry into some sessions. This year’s program will feature the theme ALL IN: Expertise, Discovery, Leadership, Teamwork. The event is chiefly focused on collaboration and networking, allowing for educational opportunities for individuals new to team care as well as those who have years of experience in the field. The keynote address on Wednesday, April 6 will focus on integrating psychosocial aspects of care to patients. In addition to the keynote are the highly anticipated Discipline Forums, which offer attendees an opportunity to network and learn from colleagues around the world. The Nuts and Bolts on Nursing and Team Coordination is being reintroduced into the program during Friday’s concurrent sessions. “All of these sessions will combine with the other great scientific and educational offerings to form an exciting interdisciplinary program that will appeal to all attendees as we go ALL IN with Expertise, Discovery, Leadership, and Teamwork,” said Dr. Kirschner. The entire program will feature approximately 150 different sessions, plus times to network with colleagues and exhibitors. Exhibitors include: 3D Systems, 3dMD, Canfield Scientific Inc., CRC Press-Taylor and Francis Group, Dr. Brown’s Medical by Handi-Craft Co., KLS Martin, Nationwide Children’s Hospital, Orthomerica Products, Inc., Pentax Medical, OsteoMed, Seattle Children’s Hospital, Stryker, The Cleft Palate-Craniofacial Journal/Allen Press Publishing, and Vital Health Software. The non-profit exhibitors include: the 13th International Congress of the Confederation of Cleft Lip, Palate, and Related Craniofacial Anomalies, American Cleft Palate-Craniofacial Association, Cleft Palate Foundation, myFace, and Smile Train. The ACPA is grateful to sponsors of the event, including: KLS Martin, 3dMD, Children’s Healthcare of Atlanta, Stryker, and Nationwide Children’s Hospital. For full details on the 73rd Annual ACPA Meeting, please visit http://meeting.acpa-cpf.org/. The American Cleft Palate-Craniofacial Association (ACPA) is an international non-profit medical society of health care professionals who treat and/or perform research on oral cleft and craniofacial conditions. The members of ACPA serve an extremely important role in the treatment of children and adults with cleft lip, cleft palate, and craniofacial anomalies. For 73 years, its goal has been to provide optimal care for this group of patients and their families. Because of the diverse needs of these patients, and the required services of many different specialists, interdisciplinary cooperation and team care is essential to the patients served. For more information please visit http://www.acpa-cpf.org.